Public transportation is well developed in Ukraine. 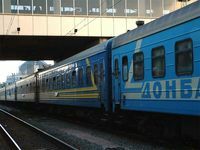 Ukraine is connected to European and Asian cities via an extensive network of railways and roads. You can reach just about any desired destination by train, bus, or by air. A passport is not required to purchase your train or bus tickets now, but only if you are travelling internationally. In the recent years you wouldn't be able to get your train tickets without your passport. Even a copy wouldn't work. 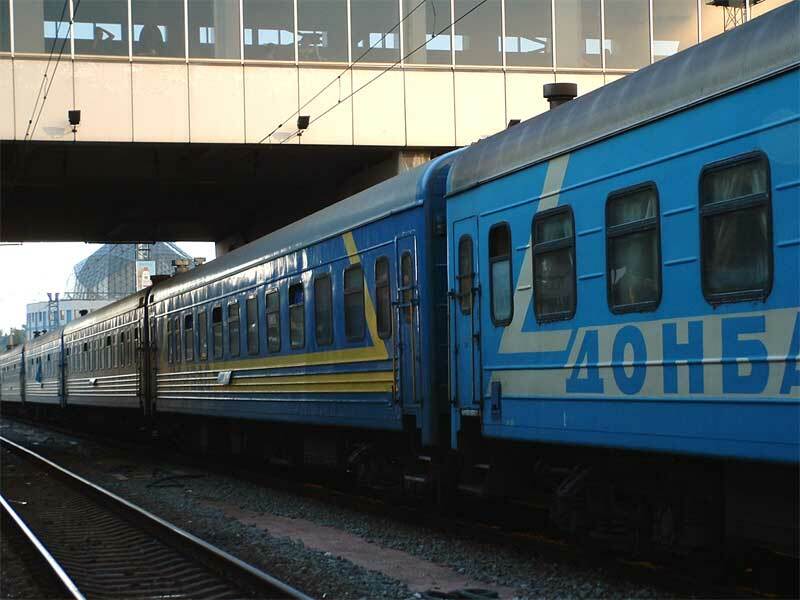 It is possible to get to Ukraine by air, by train, by bus or by car. There are two airports in Kyiv: Boryspil (KBP) and Zhulyany (IEV). Most International flights operate to and from Boryspil International Airport in Kyiv. It is located about 40km (25mi) South-East of the city centre. Most Domesticl flights operate to and from Zhulyany Airport in Kyiv. It is located about 40km (25mi) South-East of the city centre. 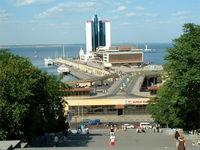 Odesa (phone: +380 482 39 33 12; ticket booking: +380 482 22 34 56). 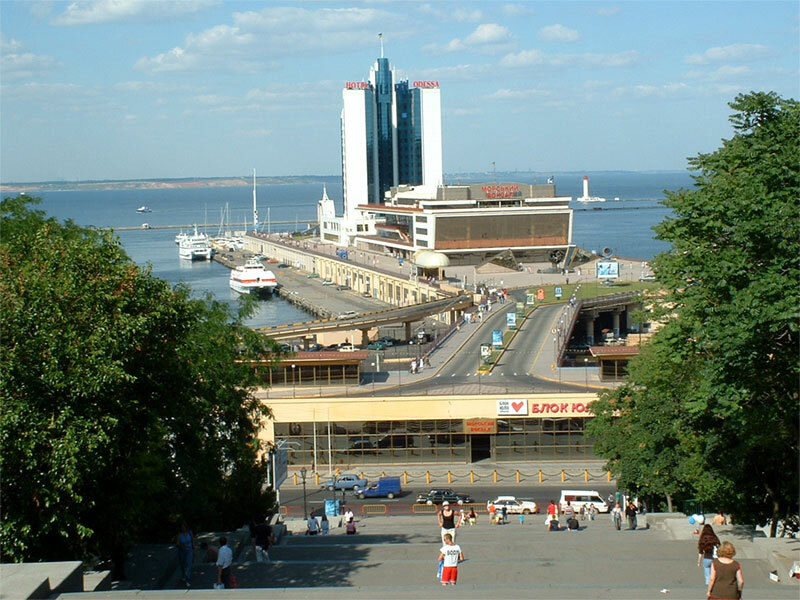 Odesa's airport is about 12km (7mi) south-west of downtown. L'viv (phone: +380 322 69 21 12; ticket booking: +380 322 69 23 99). The airport in Lviv is about 8km (5mi) west of the city centre. Zaporizhzhya (phone: +380 612 64 42 27 / 64 25 65). The 22,3 km's (14 miles) of railway track link most Ukrainian cities and towns. International links extend from Kyiv to other CIS and European countries as well. There are direct lines to Warsaw (Poland), Krakow (Poland), Wroclaw (Poland), Pshemysl (Poland), Moscow (Russia), St.Petersburg (Russia), Vladyvostok (Russia), Murmans'k (Russia), Minsk (Belarus), Brest (Belarus), Berlin (Germany), Bratislava (Slovakia), Prague (Czech), Budapest (Hungary), Sofia (Bulgaria), Varna (Bulgaria), Vienna (Austria), Riga (Latvia), Belgrade (Yugoslavia), Zagreb (Croatia), Cishinau (Moldova) and others. 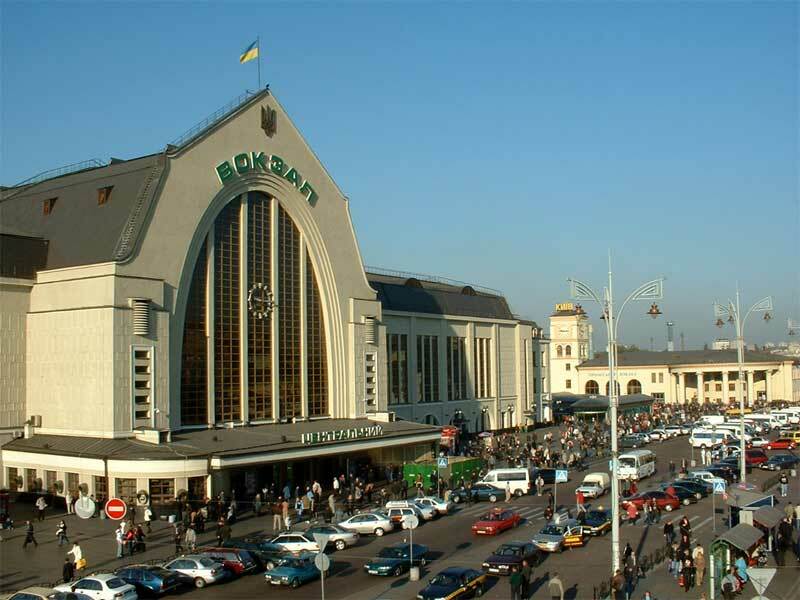 Kyiv Central Railway Station is located at Vokzal'na Square. There is also a Ticket Office at Boryspil Airport and many of them throughout the city. Ukrainian National Bus Lines serve almost every city and town in Ukraine. The older fleet of buses would suffice for short trips, although sometimes are overcrowded and dirty. So, for the price, train travel is a more comfortable option. "Deluxe" Bus travel is, however, available also by private companies and is not a bad choice. 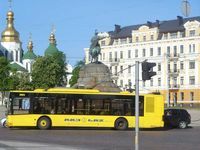 There are regular bus schedules to the Polish cities of Warsaw, Krakow, Lublin, etc., with the ticket for the Warsaw route cheaper than by train. It is an overnight trip however and as you can imagine a bit of an uncomfortable sleeping experience. 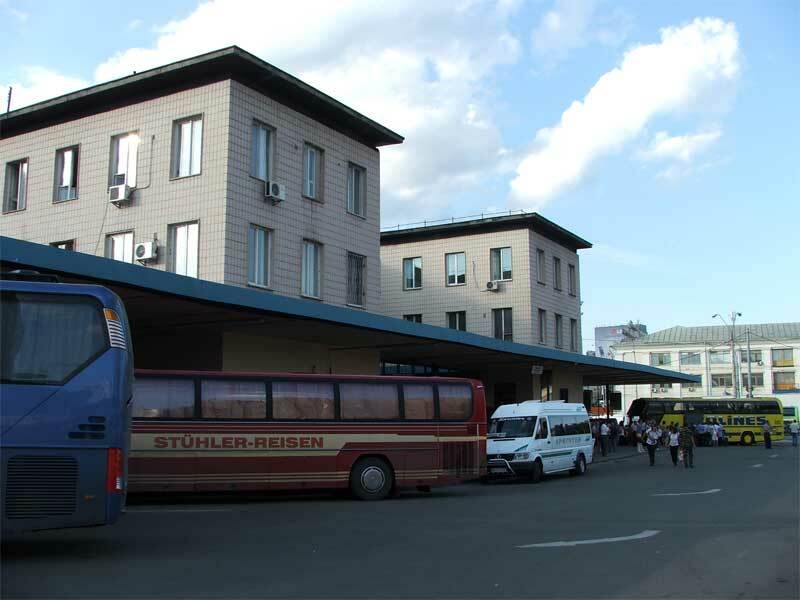 From Kiev the Polish bus departs from the Dachna Bus Terminal, Peremohy Prospect 142. Kiev Central Bus Station is located at Moskovs'ka Square. One Trolleybus or Minibus (Marshrutka) stop from the Lybids'ka Metro Station. You can purchase your tickets at the Bus Station, but it's better to do so in advance. All you'll need in order to travel by car in Ukraine is your International Driving Permit, Proof of Insurance, and Nerves of Steel. Otherwise, it’s better to use a local Ukrainian driver with his own car. If you must, you can rent a car at major hotels in Kiev and through car rental agencies in all major cities in Ukraine. 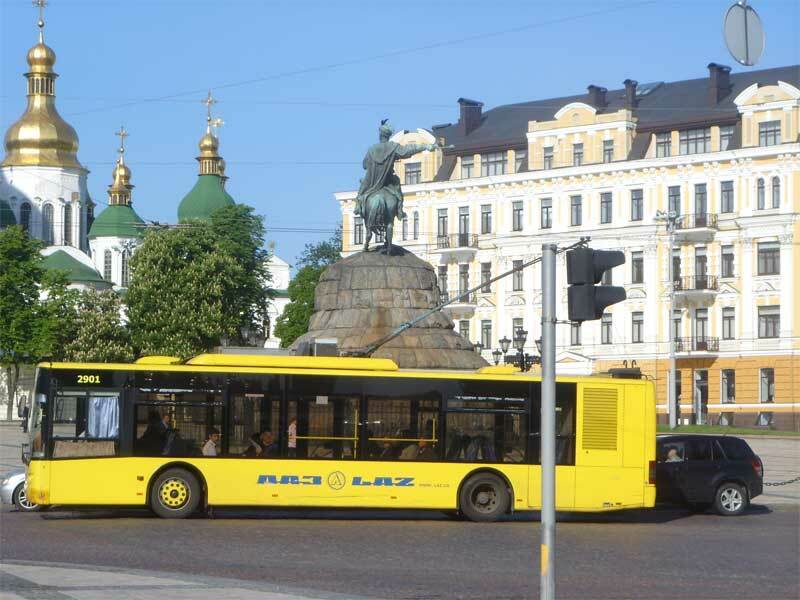 The backbone of Ukraine's public transportation: buses, trams and trolleybuses (electrically driven). There's no better way to get to know this country and it's people than to take a ride like the locals do. :^ ) Best to purchase tickets at the bus stops at the little "kiosks", however you can also get your ticket from the conductor once you board. If there's no conductor, just get the ticket from the driver. Be sure to "validate" or "punch" your ticket using the small boxes placed inside the bus. During Rush-Hour most public transportation can be very crowded.